One Woman’s Survival in Saddam Hussein’s Torture Jail. Edited to Add: The cover of the book – it completely slipped my mind while posting. And that is exactly what it is. 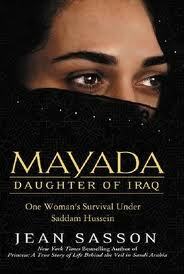 The true story of Mayada Al Askari, a woman born into a powerful family of Iraq. She had illustrious paternal and maternal grandfathers, and was one of the few highly educated women in Iraqi society. As a divorced mother of two, Mayada was leading a simple life, managing a business printing brochures. One day, her life is turned upside down when she is thrown into Iraq’s dreaded Baladiyat prison. She has no idea what her crime is supposed to be. She is thrown into cell no 52 which already housed seventeen other ‘Shadow Women’. Women from all kinds of backgrounds, who shared the same fate of imprisonment, torture without trial and execution. They have been condenmed to ‘guilty’ with no chance of a trial – fair or otherwise. Nothing they might say or do, would make any difference. Mayada had lived a comparatively comfortable life in Iraq so far. Her illustrious family background had ensured that she was educated and independent. Her mother was quite a powerful person in Iraq, until she decided to move to Amman. Mayada had also come in contact with Saddam Hussein during the early parts of his political career, and he had even enjoyed and admired her articles that she wrote when she worked as a journalist. Nothing however prepared her for life in Iraq’s torture jail. The torture described is horrific. It is unbelievable that people can do such horrible acts to those in captivity. Mayada was comparatively less tortured, but the manner in which the other shadow women were tortured, makes one wonder at how people could even think of it, much less do it. The women spent their time in jail talking about their stories and the way they ended up in the dreaded jail. They loved to hear about Mayada’s life story and her tales about the famous people she had met. Saddam Hussein and his wife were of particular interest, although they had to be very careful in discussing them. Anybody discussing the President could get into trouble – as if they weren’t in enough trouble already! Most of the ‘Shadow Women’ had no idea what wrong they had done to land in jail. Only after repeated torture did they realize what was assumed to be their crime. The heart breaking part was that their families had no idea what happened to them, as they were not given a chance to call or let anybody know. Living in a small cell, filled with other women, tortured, tormented and left to die. Despite all that the caring and concerned nature of her fellow inmates touched Mayada. Mayada was comparatively luckier, she was not torture much and managed to get released, thanks to her mother’s connections. Yet her good fortune(comparative) did not attract jealousy or anger in the others – they were gracious and delighted for Mayada. Even after her release, life was not smooth for Mayada. One can only imagine how it must be for others who were in less fortunate situations. The book brings to front the life of Iraqis under Saddam Hussein, when anybody could be thrown into jail for no reason, or at the very most, the slightest of pretexts. Apparently when Saddam Hussein first came into power, he seemed like he had his heart in the right place, pushing for women’s education and other social rights. Slowly it dawned upon them, his true nature and his true plans..
A very moving and sad book, but one that makes one realize how precious democracy is. So many freedoms that we take for granted are things which people in some countries can only dream about. I’m not sure if I should or not recommend this book to everyone, but if you have read and liked her other books, you should give this a go. Shashi Tharoor’s books, I have always loved. His writing never failed to appeal to me. The topics he chooses, are so relevant and his take, so sensible, so balanced, at least in my opinion. Riot was the only book of his that seemed to evade me since years. It had been recommended to me by loads of friends, I had been waiting to get hold of it. So the moment I found it at Landmark, I grabbed it. Set during the turbulent times when the Babari Masjid was brought down, the book explores the ways in which emotions, politics, religious fanaticism change and end lives. Priscilla Hart, a young American woman is killed in a riot in a small Indian town called Zalilgarh. She was a volunteer with a non-governmental organisation working to increase the birth control awareness of the region. She gets killed during a riot. 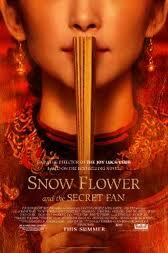 Her parents come down to India to find answers and take back what they can, of their daughter. Unknown to most of them, Priscilla has another story, she and the District Magistrate, Lakshman, were having an affair – one with no real future, though Priscilla wanted one. As the story progresses, more than one person seems to have a reason to get rid of Priscilla. Who killed Priscilla? Was she an innocent victim of the rage of the rioters? Was she just at the wrong place, at the wrong time? Read it to find out. The story is told through journal entries, interviews with journalists, Priscilla’s letters, with all the characters having a means of expression. All the threads of the story running simultaneously. The story is much more than about Priscilla’s death. It is also a tale of the situation in India at that point in time. The fragmentation of society, the different lives, the different beliefs that make India, and the frustrations that built up, and what happens when people try to tap into religious sentiments to gain a few votes. The book also touches upon the politics and the nature of democracy in India, of how politicians use the excuse of popular sentiment to look the other way, and ignore injustice. A wonderful book, a wonderful read, one that makes you think. Tharoor’s wonderful descriptions, his use of words makes his books such a pleasure to read. 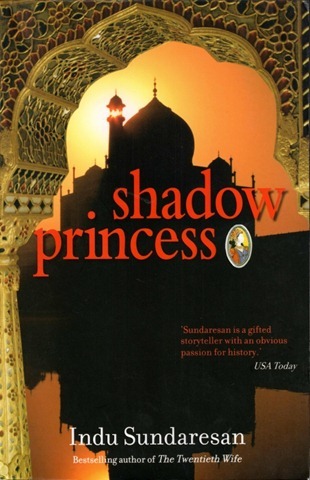 All the characters come alive, one can understand why Lakshman felt so lonely, Priscilla’s motivation, Gurinder’s(Lakshman’s IPS friend) story evokes so many strong emotions, each character has his or her own story, and despite that, the books moves at a very fast pace, keeping all the threads in hand. If you enjoy these types of books, ones where political history is interwoven with a story, I would recommend it. I thoroughly enjoyed it.